Why wait, you can start your next Adventure today! Comfortable for the daily drive and rigged enough for the weekend warrior. With seating for five and loads storage space, there is room for the whole family. Equipped with a powerful 3.2L Turbo diesel paired to a 5 speed Manual High and low range 4x4 transmission, Optioned with a rear diff lock and Alloy wheels this Pajero is read to go, the possibilities are endless. Features a 3.2 lt turbo diesel engine, 5 speed manual transmission, 4 x 4, 7 seater, Sat Nav, rear camera, side steps, tow bar, Bluetooth. 17 inch alloy wheels..
~ FULL LEATHER TRIM ~ REVERSE CAMERA ~ REVERSE SENSORS ~ PREMIUM SOUND PACK INCLUDING SUB WOOFER ~ PLUS MANY MORE EXRAS ~. EXCEPTIONAL FUNCTIONALITY 4 airbags to protect you and your family. This Mitsubishi Pajero 2010 Exceed has multi media entertainment system. Then look no further than this 2010 Mitsubishi Pajero. It has iPod connectivity, power door mirrors, side airbags, bluetooth functionality, rear colour display screen and cruise control. This car is one of the best maintained Land Cruiser's in Sydney because: - Only done 94, 000 KM's. - It has never been driven off road. The land cruiser comes with ARB Bull & Tow Bar, Tow Kit & Cargo Grill.. This 2010 Toyota Landcruiser Prado Kakadu Auto 4x4 has driver & passenger airbags, side airbags, iPod connectivity and front fog lamps. It has parking assist graphical display. 7 airbags and an ANCAP safety rating of 5. It has cruise control. It is powered by a 202kW 4.0 litre engine!. THE FAMILY WILL LOVE THESE FEATURES This car has hill ascent control (HAC). This 2010 SR5 Dual Cab 5 Speed Manual ute is in Immaculate condition inside out. Front and rear seat like new with rear seats never used. It's been regularly serviced by Toyota to the manufacturers specifications with full service logbook history. Accident free. Always garaged and looked after and the vehicle has never been used for off road driving or on beaches, it has only been used to travel to and from work Is a non-smoker's car. This Patrol has been set up for towing ( 3, 500 kg ) and has NEVER been on a beach or bush bashing.The only gravel roads it has been on is to collect firewood. All electrical wired up for Anderson plug , electric brakes 12 volt for fridge . TWO reversing cameras , ( 1 for hooking up your van hitch to the tow ball ) and 1 for reverse parking. 2010 Toyota Landcruiser VDJ79R GX Cab Chassis Single Cab 2dr Man 5sp 4x4 4.5DT Check out this Lndcruiser GX model in great conditon . Drives great with only 132000kms on the clock .With the added GX features like wheel arch flares and alloys . Safety and Security * Airbags - Driver & Passenger (Dual). A Fantastic example of the branded UNBREAKABLE Toyota HILUX! with the built proof 3.0L Turbo diesel engine paired to a manual transmission and not to mention the supreme 4x4 makes this a attractive package. equipped with an alloy tray and canopy! this truck is ready for your next adventurer..
Hard pushed to find one in as great a condition with the following additional features: 1 owner, Company Directors vehicle. Never smoked in, always garaged. Factory upgraded full leather seats - Genuine ute liner - Genuine tow bar - Genuine sports brake and accelerator pedals - Genuine remote hard cover lid - Locks at the press of a button, great for security. This Toyota Landcruiser Troop Carrier is built to last and has style and all the right moves, everything you need in a performance vehicle and will go just about anywhere. Very low klms with only 89229 km on the clock. It is mechanically sound and in excellent condition. Always garaged and looked after. THE ULTIMATE CAMPING RIG!! WELL SERVICED TURBO DIESEL, LOCKABLE REAR BODY WITH SINK, EXTERNAL POWER POINT, WATER TANK, HEAVY DUTY ROOF RAKCS, DUAL WHEEL CARRIER, TOW BAR, REAR STEP, BULL BAR, SNORKEL, DUAL BATTERIES, HEADLIGHT PROTECTORS, SPOTTIES, WEATHERSHIELDS, 6 GREAT ALL TERRAIN TYRES SPOTLESS INTERIOR!!!. SSV V8 SPORTWAGON Loaded with stacks of features! Finished in Phantom Mica Black and a credit to its previous owner for looking after it with the KM's it has done. This SSV wagon is fitted with many extras: - HSV GTS 20 Inch wheels, Two Tone Leather, Exhaust with a lovely note, 'AFM' Active Fuel Management, Tow Pack, Wireless bluetooth connectivity, Reversing Sensors, Electric seats, Multi function Steering wheel. TURBO DIESEL 6 SPEED MANUAL, 1 OWNER WITH FULL SERVICE HISTORY, ALLOY WHEELS WITH BRIDGESTONE DUELERS, , ARB , STEEL BULLBAR, HELLA DRIVING LIGHTS, CARGO BARRIER, TINTED WINDOWS, CRUISE CONTROL, THIS WAGON IS SET TO IMPRESS.. These ready to work tradie is tough and built to withstand anything you throw at them and still with the following features including Auto Tow Bar ABS Soft Tonneau Cover Sports Bar Side Steps and many more. Mercedes Pagode W113 (1963 -1971) bumper stainless steel. One set include: 1 front bumper in 2 parts plus front joining stripe 1 rear bumper: 2 parts Mounting kit Bumper are made of one the best solid stainless steel SAE 304 which never gets rusty, 1. Volvo P1800 (1963-1973) bumpers stainless steel One set includes : 1 front bumper in 3 parts, 2 protection rubbers 1 rear bumper in 3 parts and 2 protection rubbers Mounting Kit. Bumper are made of one the best solid stainless steel SAE 304 which never gets rusty, 1. Mercedes W190 SL grille years (1955-1963) stainless steel Grille are made of one the best solid stainless steel SAE 304 which never gets rusty, 2mm thickness and Surface is polished bright mirror, inside is painted 3 layers. The choice for your car: luxury - class If you need bumpers classic car, Please contact Us Sales team Email: info@bumperautomobile. Lancia Flaminia Pininfarina coupe year (1958-1967) bumpers stainless steel One set include: 1 front bumper 3 parts and 2 over riders 1 rear bumper 3 parts, 2 over riders Mouting kit. Bumper are made of one the best solid stainless steel SAE 304 which never gets rusty, 1. Bristol 400 bumper year (1947-1950) classic car stainless steel One set includes : 1 front bumper and 2 overriders 1 rear bumper and 2 overriders. Mounting kit Bumper are made of one the best solid stainless steel SAE 304 which never gets rusty, 1. 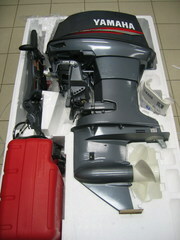 All our outboard Engines are brand new original, working perfect in good conditions.we carry 4 strokes outboard engines from 20HP to 350HP of different brands such as Johnson, Evinrude, Yamaha, Honda, Suzuki, Tohatsu, Mercury outboards Contact for Purchase. Sales Manager :micah ransome E-MAIL : micahhransome@gmail. Rare colour(2 in Australia), low kms, passionate 2nd owner makes this car a great buy. This car has standard porsche cayenne GTS 298kW engine, now with custom performance exhaust, air intake and performance tune carried out buy eurotune on the gold coast sets it apart.They are specialist when it comes to european cars. The Transmission Shifts Very Smoothly, A Full Size Spare Is Included With This Vehicle, This Vehicle Has No Previous Collision Damage, The Brakes Are In Great Condition, The Engine Is Functioning Properly And Has No Issues, The Exterior Was Well Maintained And Is Extra Clean, No Dings Are Visible On This Vehicle, The Interior Was Well Maintained And Is Extra Clean, This Vehicle Comes With A Spare Key, The Paint Is In Great Shape And Condition, The Front Windshield Is In Excellent Condition, The Car Was Previously Owned By A Non Smoker, This Vehicle Comes With A New Set Of Tires. This 2008 Toyota Hilux is the perfect trades persons vehicle - 1800mm alloy tray - Side steps - Nudge bar - Ladder rack - Flashing Light - Under tray toolbox - two above tray toolboxes - tow bar - seat covers Roadworthy Report completed. Seats have always had seat covers on them since new. This car is priced to sell quickly at $18, 750. Vehicles Australia ads Australia, Vehicles classifieds Australia, Vehicles free ads Australia, ads for sale Australia, ads to buy Australia, FREEADSAustralia Page number 8-1. Find here ads for sale, to buy and rent in Australia. Goods for sale in Australia, vehicles for sale in Australia, Australia real estate for sale, Australia property for sale, property for rent in Australia, business ads in Australia, Australia business classifieds, services in Australia, Australia services ads, jobs in Australia, pets for sale in Australia, Australia dating, Australia cars for sale.